All images courtesy Song River of CowGirlZen Photography. See more atcowgirlzenphotography.smugmug.com or amazingarizonacomiccon.com. Zombie kid, or is he just a Joker? Ghostbusters – I think their traps won’t work this time. Always trying to get a head. Must have eaten a jaw breaker. The world’s largest volcano lurks beneath the Pacific Ocean, researchers announced today (Sept. 5) in the journal Nature Geoscience. “It seems that in many oceanic plateaus the melting is continuous, but here you have a big shield volcano,” Peate told LiveScience. 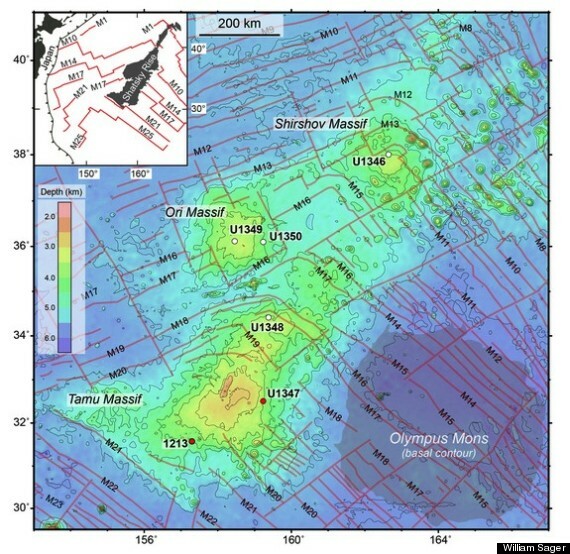 “Understanding the source of the volume of that magma, the rate of production of the magma and the time interval between those pulses will help give better constraints to feed into those models,” he said. 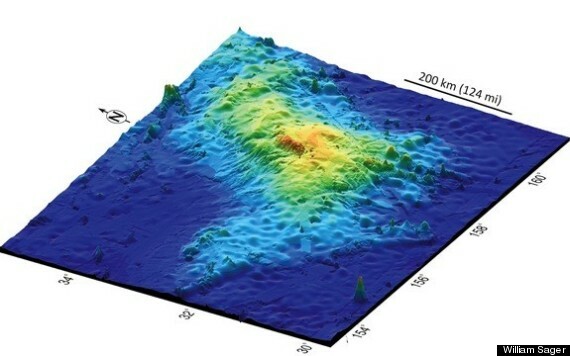 Despite Tamu’s huge size, the ship surveys showed little evidence the volcano’s top ever poked above the sea. The world’s biggest volcano has been hidden because it sits on thin oceanic crust (or lithosphere), which can’t support its weight. Its top is about 6,500 feet (1,980 meters) below the ocean surface today. The marriage of technology and weaponry is creating a growing but expensive class of “smart” guns that promises to boost security, improve accuracy — and make guns even deadlier. But even gun-rights advocates aren’t sure that’s such a good thing. “Are there any legitimate gun owners who are calling for this technology for safety? I haven’t heard of one,” said Jim Wallace, executive director of the Massachusetts Gun Owners Action League, in a recent interview. One example is a newly unveiled “supergun” from TrackingPoint that emulates the target-locking technology from jets to turn any rifle into an ultra-accurate sniper gun capable of consistently hitting a target from 1.75 miles away. Other gun rights groups strike a more measured albeit still cautious approach. Smart gun boosters say the new weapons will reduce accidents with rifles or other guns at home. That’s the point of Yardarm Technologies innovation , for example: a geo-location system that tracks a gun and can remotely lock it (or fire it). Jim Schaff, vice president of marketing for the company, acknowledged the controversy, but thinks the technology is ready for the mainstream. YardArm’s tech should be ready in a prototype form within 60 days, Schaff said. Some gun users are dismissive of smart gun technology such as TrackingPoint’s, which sells its sniper rifle as a package for as much as $22,000 or more. They prefer riflemen to get their skills the old fashioned way: through years of training. “It’s a very expensive piece of machinery, and very heavy, requiring extensive training, learning and practice for it to be of any use at all at mile-plus distances,” said Jameson Campaigne, a board member of the American Conservative Union and a staunch advocate of Second Amendment rights. Campaigne told FoxNews.com would-be shooters should hunker down, go to a rifle range, and get trained by a retired gunnery sergeant. A retired U.S. Marine Corps officer who served in Iraq and Afghanistan, Schauble tells FoxNews.com the rifle will give hunters or military combatants the ability to control for weather and other environmental factors as well as human error. Smart guns may finally have their day, after years of development. The New Jersey Institute of Technology showed a personalized gun in 2005 with biometric sensors in its grip and a customized trigger that tracks a shooter’s hand size, strength, and grip style. It was programmed to recognize only the owner, or anyone the owner authorizes. Even Colt got in the game, developing a bracelet in the late 90s that emits a radio signal that stirs a mechanism inside a weapon to allow the gun to be fired. Today’s models improve on those ideas. Schauble said TrackingPoint’s new gun technologies include gyroscopes and magnetometers in the rifle, which give the rifle consistent results. “It won’t take years to learn to shoot long-range. Just minutes,” he told FoxNews.com. 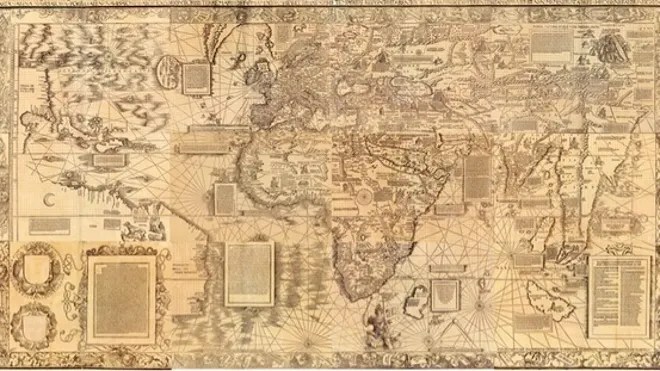 NEW YORK – Not much is known about how Renaissance cartographer Martin Waldseemller created his 1516 “Carta marina” world map, possibly the most up-to-date conception of the world at the time. But scholar Chet Van Duzer offered a rare peek into Waldseemller’s process Tuesday night (Oct. 22) during a talk here at the New York Public Library. Van Duzer and his colleague John Hessler recently published a book on Waldseemller’s works entitled “Seeing the World Anew: The Radical Vision of Martin Waldseemller’s 1507 & 1516 World Maps,” (Levenger Press, 2012). Waldseemller is best known for his 1507 world map, the first to call the New World “America.” The cartographer began his career, Van Duzer said, by basing his maps on those of the Alexandrine geographer Claudius Ptolemy from the second century A.D. These maps were based on geographic descriptions in books, rather than direct maritime knowledge. But in making the Carta marina, printed just nine years later, Waldseemller abandoned his older sources in favor of contemporary nautical charts, maps of maritime regions and coastlines that seafaring explorers of the time would have used. Waldseemller based the Carta marina‘s coastlines on a nautical chart made by Nicolo de Caverio of Genoa in about 1503. The two maps have similar coastal place names and layouts. For example, the shapes of Greenland, the eastern coast of South America and Africa are nearly identical. One major difference is that the Carta marina omits a large part of northeast Asia and Japan probably because these regions were relatively unknown to European explorers, Van Duzer said. Unlike the Caverio map, Waldseemller’s map is crowded with descriptive texts and illustrations of royal rulers. The Carta marina depicts King Manuel of Portugal riding a sea monster near the southern tip of Africa, symbolizing Portugal’s control of the sea route between Africa and India. The image was most likely inspired by an image of Neptune riding a sea monster in Italian printmaker Jacopo de Barbaris print of Venice, Van Duzer said. The map also includes an image of Noah’s Ark resting in the mountains of Armenia, probably based on similar images in other nautical charts of the time, Van Duzer said. The Carta marina depicts India as a land of animalistic people and barbarism. For instance, there’s an image of “suttee,” the Hindu practice of a widow burning herself to death on the funeral pyre of her husband. Other less well-known areas, such as America, contain images of cannibalism. Despite these seemingly outdated images, the Carta marina still represents a leap forward in cartography , because Waldseemller relied on much more updated sources than he did for his earlier 1507 map. In addition to nautical charts, Van Duzer’s analysis reveals, the Renaissance cartographer relied on books written by recent explorers . 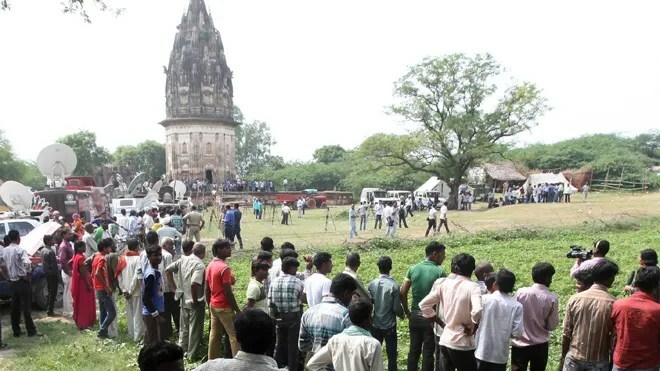 UNNAO, INDIA – Archaeologists began digging for treasure beneath a 19th century fort in northern India on Friday, after a popular Hindu holy man said a former king appeared to him in a dream and told him of a nearly $50 billion cache. The treasure hunt began after Hindu swami Shobhan Sarkar relayed his dream to an Indian government minister who was visiting the swami’s ashram last month. The swami said the spirit of King Rao Ram Baksh Singh, who was hanged in 1858 after rising up against British colonial forces, told him to take care of the 1,000-ton treasure hidden under the late king’s fort in the northern state of Uttar Pradesh. Indian geological and archaeological officials surveyed the area Sunday and found evidence of heavy metal about 66 feet underground, District Magistrate Vijay Karan Anand said. Digging would the only way to confirm which type of metal. “The treasure trove should be used for the development of the state,” local lawmaker Kuldeep Senger said. Uttar Pradesh, with a staggering population of 200 million, is one of the poorest and least developed states in India. “Everyone in the village knows about it,” said 60-year-old Vidyawati Sharma, who learned the stories from her father-in-law. Locals have found silver and gold coins in the area in Unnao district, about 50 miles southwest of the state’s capital of Lucknow, according to the swami’s disciple, Om Ji. “No one knew exactly where” the treasure was until the late king visited the swami in his sleep, he said. “Archaeology doesn’t work according to the dreams of a holy man, or anybody else. Archaeology is a science. We are carrying out this excavation on the basis of our findings” at the site, said Syed Jamal Hasan, an agency official. Authorities have set up barricades against thousands of people who have since thronged to the village in hopes of seeing the treasure, or possibly taking a small piece home. People were offering prayers at the temple within the fort’s ruins. Locals also said they hoped Swami Sarkar’s vision turned out to be real, as he “is revered as God in this area because he has done a lot for this place,” schoolteacher Chandrika Rani said. Indian officials are also unearthing and cataloging another treasure trove found two years ago in a 16th century Hindu temple, and have barred the media and public from the excavation site in the southern state of Kerala. The discovery of that treasure, including bagfuls of coins, jeweled crowns and golden statues of gods and goddesses, made the Sree Padmanabhaswamy Temple the richest known religious institution in India. The former royal family that has remained the temple’s trustees since India’s 1947 independence has said the treasure belongs to the Hindu deity Vishnu, who is also known in the region as Padmanabhaswamy.